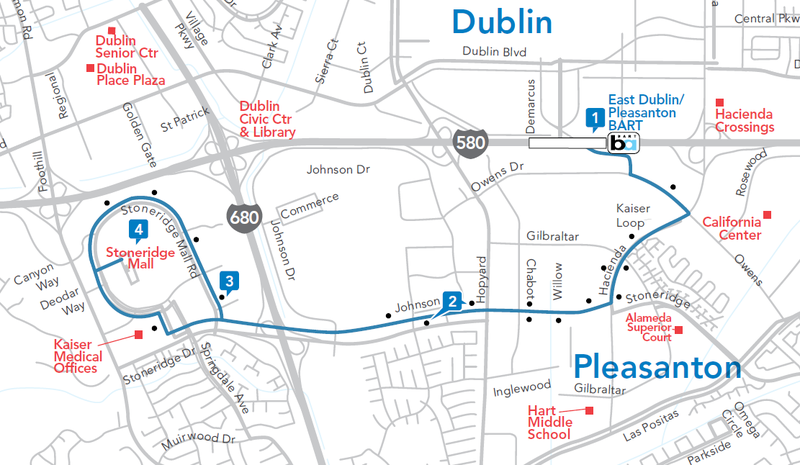 Route 3 provides all day service in Pleasanton between the East Dublin/Pleasanton BART and the Stoneridge Mall. Route 3 provides service in Hacienda, as well as to the residential and medical buildings in the Stoneridge Mall area. Route 3 operates every 30 minutes during the day on weekdays, every 40 minutes on weekends, and every 60 minutes at night.